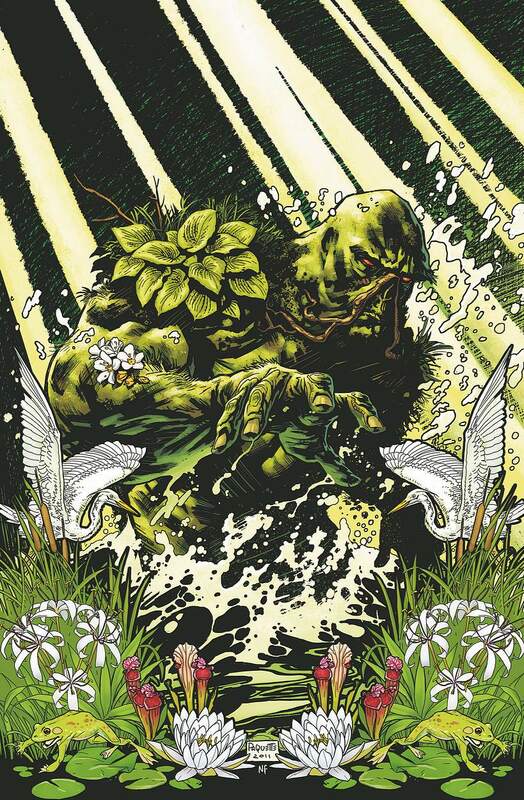 This spectacular debut issue is also offered as a special combo pack edition, polybagged with a redemption code for a digital download of the issue. 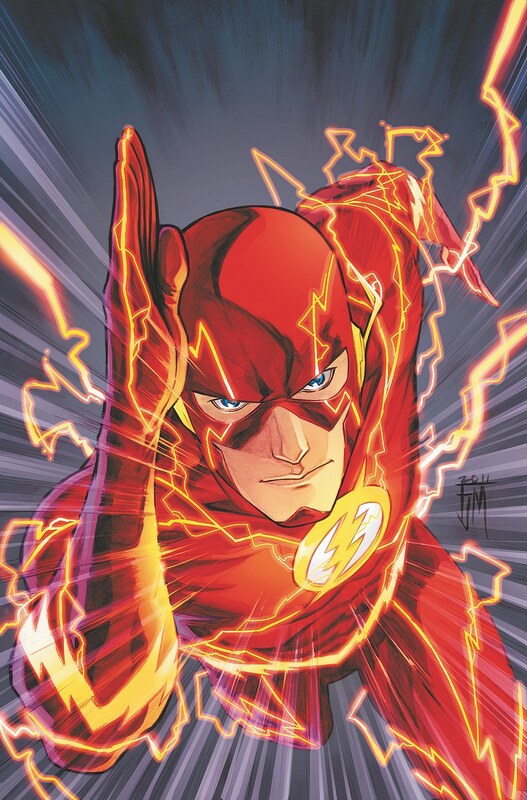 The Fastest Man Alive returns to his own monthly series from the writer/artist team of Francis Manapul and Brian Buccellato! The Flash knows he can’t be everywhere at once, but what happens when he faces an all-new villain who really can! As if that’s not bad enough, this villain is a close friend! 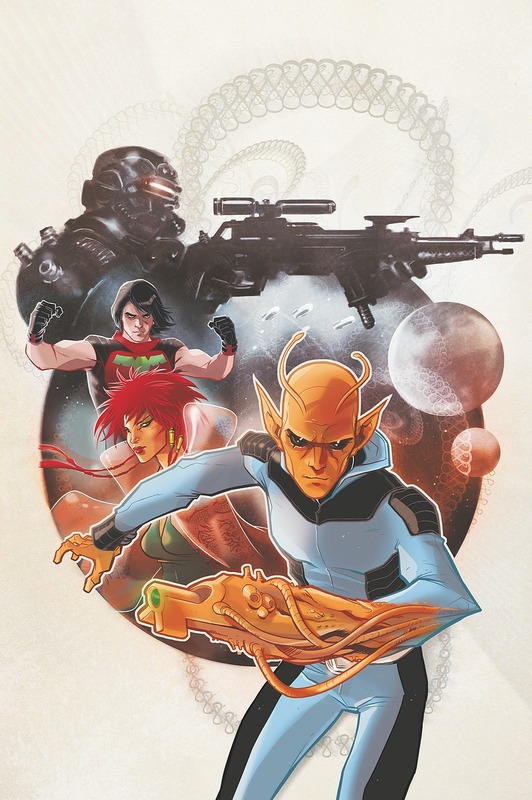 Buddy Baker has gone from “super” man to family man – but is he strong enough to hold his family together when Maxine, his young daughter, starts to manifest her own dangerous powers? Find out in this dramatic new series from writer Jeff Lemire (SWEET TOOTH) and artist Travel Foreman (The Immortal Iron Fist). Welcome to a world waging a new kind of war that’s faster and more brutal than ever before. It’s fought by those who would make the innocent their targets, using computers, smart weapons and laser-guided missiles. The new enemy is hard to find – and closer to home than we think. Between us and them stand the Blackhawks, an elite force of military specialists equipped with the latest in cutting-edge hardware and vehicles. Their mission: Kill the bad guys before they kill us. The Legion of Super-Heroes has been decimated by the worst disaster in its history. 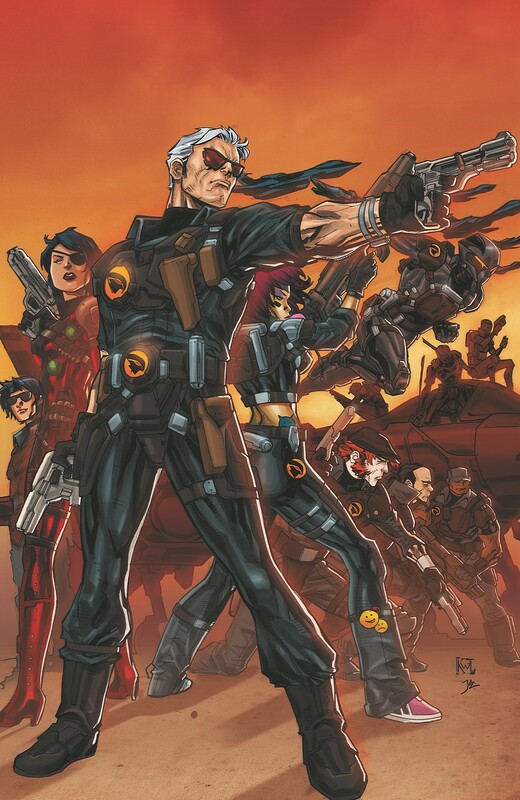 Now, the students of the Legion Academy must rise to the challenge of helping the team rebuild – but a threat of almost unstoppable power is rising at the edge of Dominator space, and if the new recruits fail, the Legion Espionage Squad may be the first casualties in a war that could split worlds in half! The first seven issues of the hot new series are collected in this new, deluxe edition hardcover! 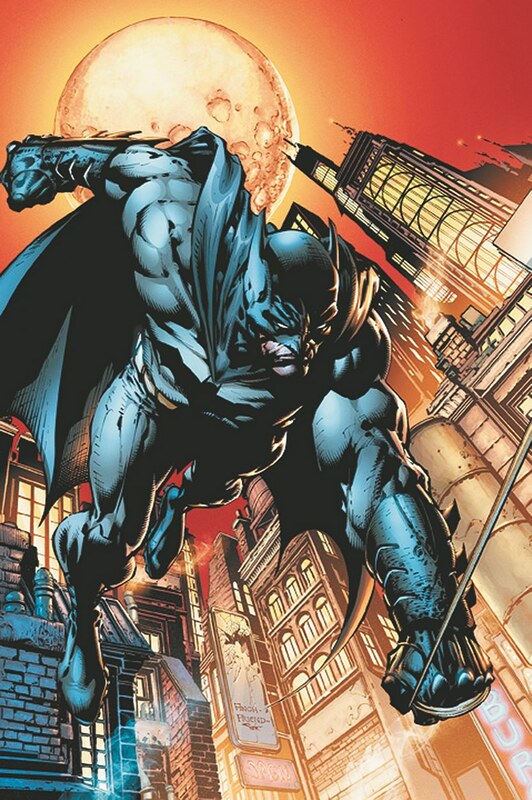 After Bruce Wayne tells the world that he is the financial backer of Batman, he establishes a worldwide franchise of Batmen to protect the entire globe. This is the beginning of a stunning new direction for the world’s greatest detective that will team him with Catwoman, Batwoman and Batman Incorporated representatives on international crimefighting missions against Lord Death Man in Japan, South America and Argentina. Witness the formation of a new team of Teen Titans and their initial battle against an old, familiar foe, Deathstroke, in this hardcover collecting the first fifteen issues of the series from writer Geoff Johns! The reasons behind Deathstroke’s actions prove shocking to the team, and before the teen heroes can get their feet on the ground, they must battle the cult of Brother Blood. Then, Raven returns with a new body and a new master: the latest Brother Blood! Plus, Deathstroke’s daughter, Rose Wilson, assumes the identity of the Ravager and switches from Titans ally to Titans threat. Now Deathstroke and Rose hunt for the Titans. Could things get any more explosive? They do, when Kid Flash learns to drive! This mammoth collection also features TEEN TITANS #1/2, TITANS SECRET FILES #2, TEEN TITANS/OUTSIDERS SECRET FILES 2003, LEGENDS OF THE DC UNIVERSE 80-PAGE GIANT #2 and the four-issue BEAST BOY miniseries! 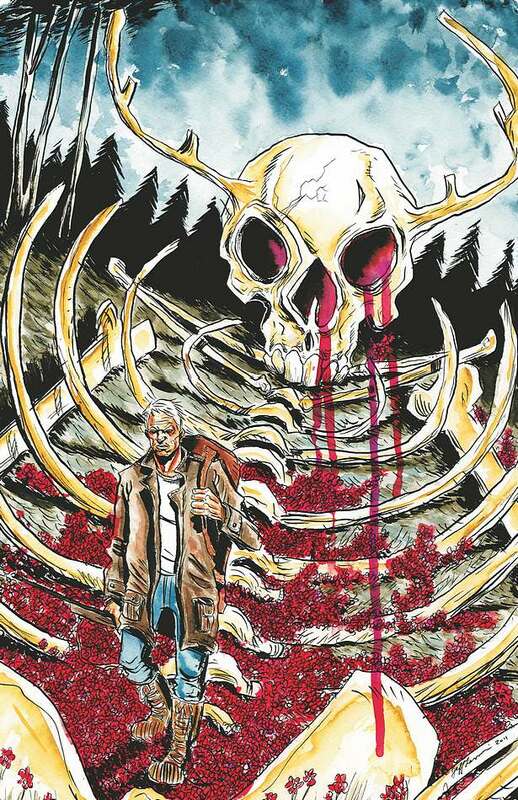 Vertigo’s weird and wonderful antlered-epic reaches issue #25 as new revelations about Walter Fish and Project Evergreen push Jepperd over the edge. When his violent actions finally ostracize him from the rest of the group, he’s forced to leave The Dam. But Jepperd won’t go quietly – and he won’t go without Gus.